Did you get my emails last night? Just wondering cos there was no reply. Please get back to me as we're leaving for CT on Sunday morning. I have cleared my PM box...forgot about the messages there. Looking forward to meeting you in CT ~ Drive safe! Thanks - would you believe it but still battling with accom even with your assistance! Most of the time the prices advertised are different from the actual prices - and by a few hundred rands per night! At this rate we'll probably end up in Milnerton at our "usual" place. And with the ever growing list of places to visit and things to get, it looks like we're leaving at first light on Sunday and might have to stay two nights! I hate going away cos I worry about the animals and I miss the cats so much! However, one hotel keeps on popping up with great rates - The New Tulbagh in the city - R399 per night for two including a full buffet breakfast. 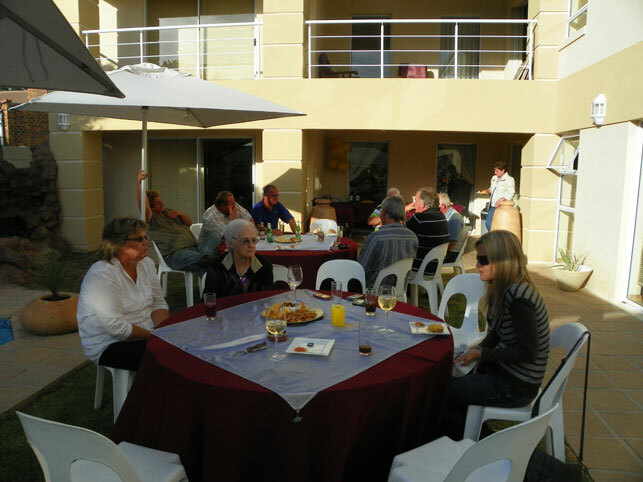 Mixed ratings about the hotel - food and rooms good, but so called "free" parking is R70 per night. Will do a few more searches today... have something special in mind as a surprise for hubby so just hope that there is still space! Finally organised accom - Train Lodge - decided on something different. Now just to leave ODN early as the shopping list has grown tremendously! Only thing about being in a small town - you have to go to the city for certain things! I know all about it, Cali. Have a choice between PE and East London! Miss Jewels - hope you aren't having too hectic a day today. 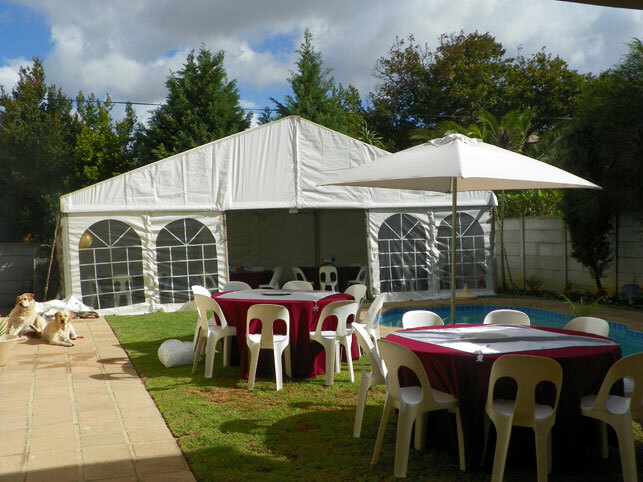 Hope all the setting up and planning is going according to plan? I had the pleasure of meeting Janet & Gavin (Cali Craft) today on her 24 hour trip to CT. Janet, if you read this, I hope you had an awesome time in the shops today. Good luck with the suppliers tomorrow and a safe journey home. I've also had the most incredible time visiting Terry and Jan (lilythepink & mr aerospace). Maybe we should start a thread called : "I've had the privilege of meeting ...."
It wasn't just a privilege meeting Miss Jewels. It was the fantastic start of a wonderful friendship. She's now our unofficial adopted daughter! Re the shops / suppliers - stress levels are up, discovered more grey hairs, but loved every moment of being in CT! Hubby on the other hand was my 'hero' by driving me everywhere and putting up with my "here please", "there next", etc. This time I did drag him with into the suppliers so now he knows why or how I take about five to six hours at just the one place - he was buggered by the time we got back to the bakkie... and this time round was a "quick, cheap stop" at the supplier (strict budget). Now just to work through the stock... but I have him well trained in that department! We were supposed to only have one night in CT but due to circumstances, made it two nights. Went to the Train Lodge to check in and were very disappointed - what they show on the website is NOT what you can expect! Thankfully always have a back up of info with me so ended up staying where we usually stay in Milnerton. But that rain on Monday - wow - it really came down in buckets! Can't remember when last we experienced rain like that! Had a few quick stops to do this morning and as we were entering the M5 freeway towards Milnerton from the Ottery Road, hubby just saw dust ahead of us - a car rolled on the freeway onto the island! We have a dashcam so will check it tomorrow to see "what" was captured, but I'm sure it caught the whole accident. 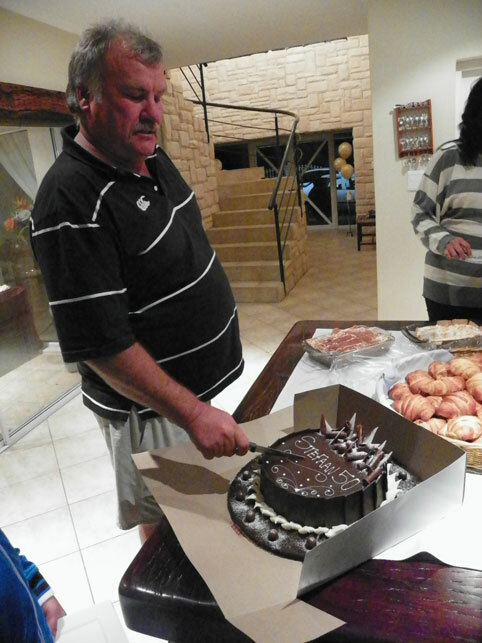 Surprised at how many people pulled over to help this guy - in PE they'd only stop to rob you! Hubby was one of the guys to help pull the driver from the vehicle as it was on it's roof and we didn't know if he had passengers or not. Thankfully he was alone and only sustained cuts to his face - very shaken, but okay. As there was nothing else we could do and there were others' on the scene, we left to come home. Still makes one wonder how someone can lose control on a straight stretch of road in dry conditions! Just outside CT over the Sir Lowry's Pass a truck had gone right through the barriers and down an embankment - by the time we passed, the road was passable, but the traffic heading towards CT down the pass was bumper to bumper. Quite a few people broken down on the side of the road including one young couple with a burst tyre - it was too late for us to stop and help. The traffic on the N2 was unbelievable - in all our years we've never experienced traffic like that! So busy! We take the Robinsons' Pass from Mossel Bay to Oudtshoorn and were running very late due to the stop/go stops (so much for the "maximum 10 minutes" wait - the one was over half an hour!). About 40km away from ODN and just as the sun went down, we see an older gent on the side of the road with a caravan leaning to one side - he was walking along the road picking up bits and pieces. We drove past and turned around when it was safe to do so - the left wheel on the caravan came off completely ripping up the side of the caravan and took out a window. He was travelling alone and although he said he was okay, we refused to leave him alone as there are undesirables living in the bush. Helped him where we could and made sure he got back to town okay. Awwwww.....thanks "Mom" and "Dad"! 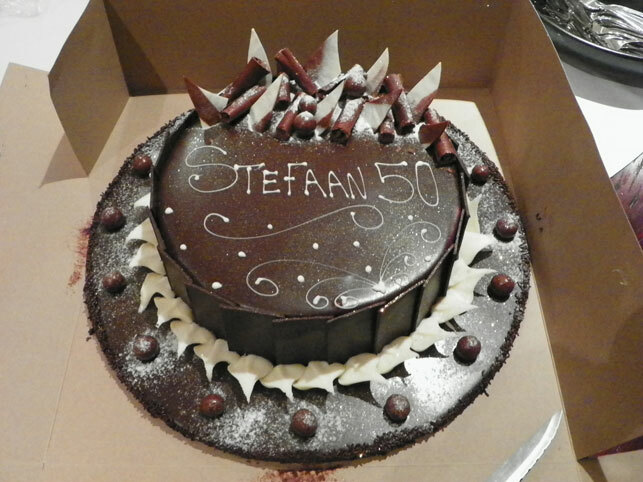 Was wonderful too having you with us in spirit on Tuesday to celebrate Stefaans' 50th. Luv u both! From the start of my garden being "transformed". 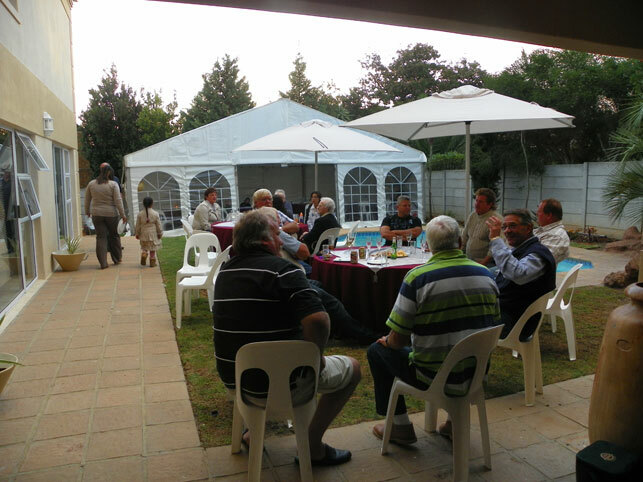 Pictures taken of some of the guests as they settled, to the B-Day cake and the 50th B-Day Boy.